The best editor helps you quickly join AVI video files with ease. Do you have many AVI videos and want to join them into one video file with an AVI joiner freeware? 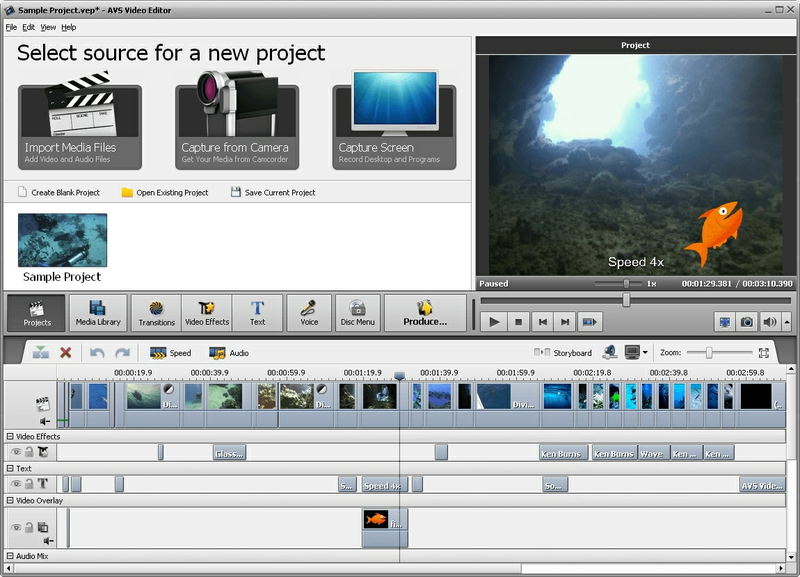 AVI video joiner software allows you to join your AVI video files in an easy way. You just need to add the videos you want to join to the program and hit the "Join" button. There are actually many free AVI joiners out there and here we made a comparison table of the ten free AVI joiners for you. Before we start, important question. 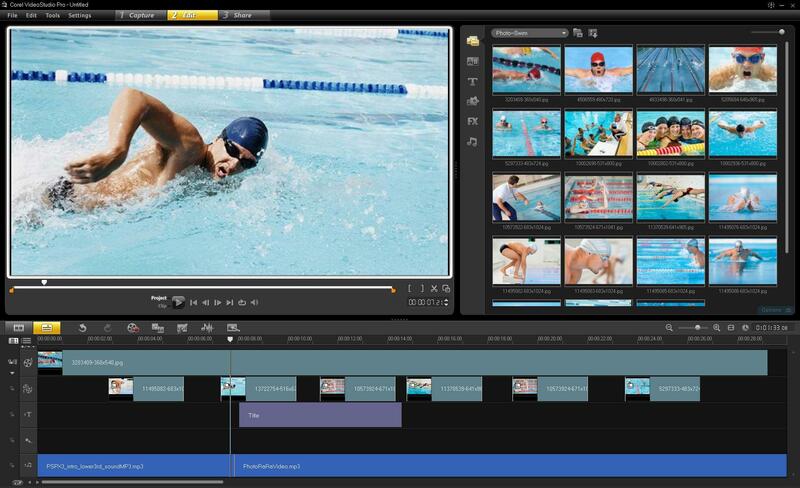 If you are looking for more video editing features besides video joining, we strongly recommend an easy yet powerful video editing software named Wondershare Filmora. With it, you can freely crop, rotate, join, split, trim videos, etc. and add video transition effects. Most importantly, you can join AVI videos easily. Below is the steps to let you know how to join AVI files. Download and try it for free. Import the targeted AVI videos into Filmora. Drag them into timeline. Here, you can arrange the sequence of videos to get what you want. After it is done, just click export to join the videos. If your videos are not AVI format, you can also change video format to AVI. Now, the whole steps are finished. Easy Video Joiner can not only help you join AVI files, but also MPEG (MPG), RM (Real Media) or WMV/ASF (Window Media) files. It is very easy to use and can join videos fast. You can add as many AVI files as you like and arrange the video order freely. In just a few clicks, you can turn multiple AVI videos into a large movie file. 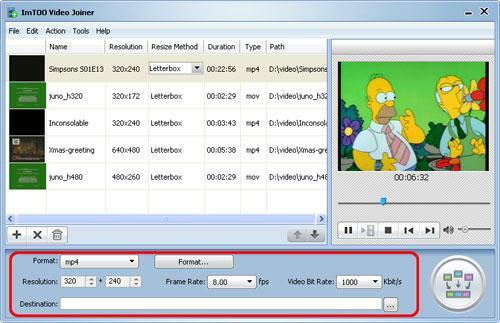 Free Video Joiner is a video joiner freeware that enables you to combine videos with ease. It supports joining AVI, WMV, MOV, MPEG, MPG, etc., so it is can be considered as an AVI joiner freeware. What you need to do is to select the AVI videos you want to join and add them to the program, then specify the destination folder and choose the output format, hit "Join" to start joining AVI videos for free. You can also join different video formats into one video format. Just note that the output video will have the same height and width of the first added video. This easy Windows based tool offers a total video editing and enhancement solution that also allows you to work with other media such as audio recordings. With this tool you are able to combine WMV, AVI, MPEG and other video formats into one complete movie file. 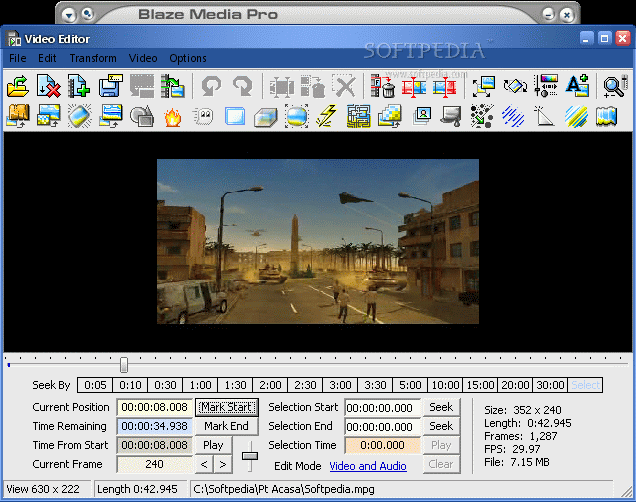 Blaze Media Pro is a powerful multipurpose editing software that will allow you to convert videos and audio files, edit videos as well as audio, burn videos and copy audio as well as capture video and record audio. With Blaze Media Pro you can create video effects, manage various media, create and manipulate playlists, and play full screen videos. Professionals use this robust video joining tool to join different video formats to produce final movies in any of a number of popular media formats. With Ultra Video Joiner you too can merge diverse video files and produce a large file such as AVI, WMV, MP4, RM (Real Media), and MPEG. This powerful joiner works well with a wide range of file formats including Divx, ASF, Xvid, MOV, 3GP, MKV and FLV. You can add any number of files to your selection and reorganize them in different ways as you desire. Ultra Video Joiner already includes every video encoder and decoder so you do not need any other codec download for your video joiner to function. This is a powerful video joining tool that allows you to join multiple video formats into one single format that works. This editing and joining tool comes with a 30 days money back guarantee so that you can try this product risk free. The ImTOO Video Joiner is capable of joining formats like MKV, AVI, WMV, MPEG, FLV, ASF, DAT, MOV, HD Video, and other formats. Users of Windows will be happy with this tool as it works perfectly on Windows platforms and covers a wider range of file formats than other joiners on the market. A key feature of this tool is the ability to preview the original video file, set video sizes, and set up the frame rate for perfect video quality, which is tremendously helpful for both experienced and new users. ImTOO Video Joiner is speedy and operates easily. This versatile tool offers capabilities both in video joining and video splitting. This multipurpose tool for Windows allows you to operate like a Pro as you can use it to split and join videos in many different formats. These formats include WMV, MPEG, MOV, Quicktime, MPEG2, FLV, MP4, 3GP, YouTube, and Flash. Your final outputs can be placed in any of a wide range of video formats and you can enjoy your edited videos even more. This complete video mixing software is said to be the best on the market as it comes full of features that both pros and amateurs use. The Corel Video Studio allows for quality joining and splitting of videos in any file format and the production of high quality video outputs. This is a Windows software that features a strong new 64-bit architecture and seven effective effects apps. With these additional applications you can produce rendered movies faster on a easy to use interface. Soon you will be able to upload professional quality movies on YouTube of DVD for pleasure or for business purposes. With this amazing tool you can combine split videos quickly and easily with few clicks. It is simple to use and all you need to do is to drag and drop your files into the pane designated for joining files. Once you place them in the order you want, select the “Run AVI Joiner” button. You will need to clearly instruct the application to save the final video output at a place you can retrieve it and remember to keep the .avi extension. This video joiner was previously known as the AVI/MPEG/RM/WMV Joiner but it continues to provide users with the ability to merge or join numerous video formats into one uninterrupted video easily and quickly. Boilsoft works well with RM (Real Media), MP4, ASF/WMV, 3GP, AVI, and MPEG. With just a few clicks of the mouse you can quickly produce a full length clip that has all the sequences you wanted. This video joiner can put more than two videos together into a single file using the most popular video formats including Xvid, MPEG, RM, 3GP, AVI, and DivX. This program is easy to use as all you need is to drag your clips into the interface and join them in the chosen output format. This freeware is a fast and easy tool for novice users. That completes this list of ten useful video joiners you can get started with. Some are freely available while others are available at a cost. You may find a trial version of the joiners you may need to purchase that will allow you to try the software out first. Just take your time to find the right tool that suits your video merging needs.